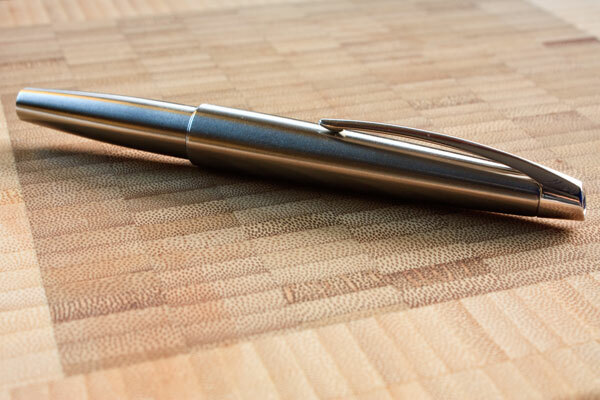 This pen is a classic of clean modern design. I love the way the nib is integrated into the body. And the long cap help keeps the form factor compact while closed but comfortable when posted. 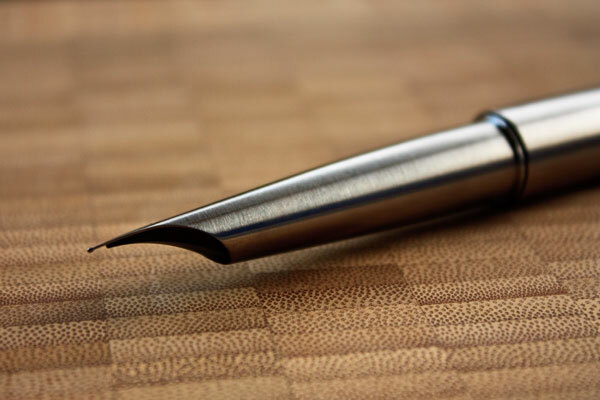 We’ve seen this feature picked up in other pens in recent years like the Ohto Tasche I reviewed earlier (still the post that drives the most traffic to my site). 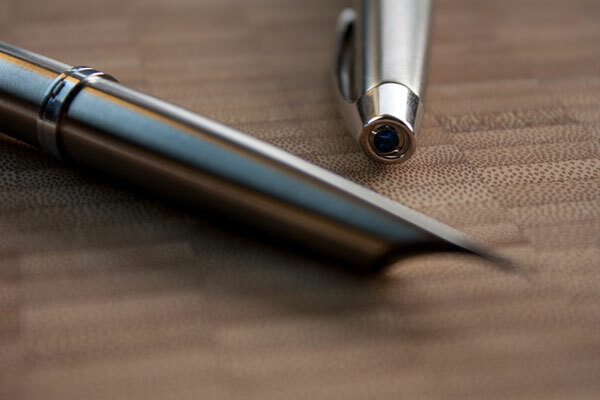 I’m not a big fan of ornate frilly pens for the most part, so the streamlined look of this pen suites me just fine. 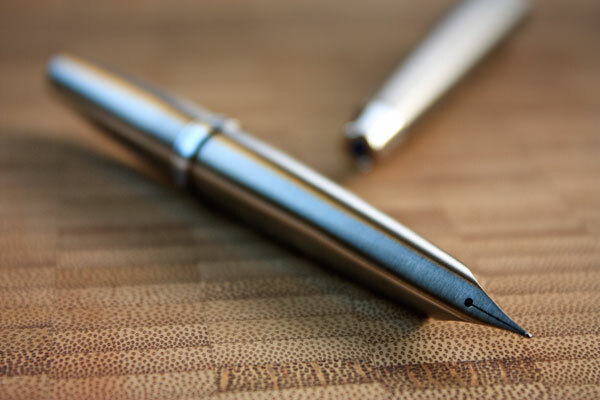 Looks will only get you so far, if a pen doesn’t write well it will just end up sitting in the display case no matter how cool it looks. And this pen delivers. I opted for the fine nib (which as per usual with Asian pens is more like an extra-fine by western standards). It has a pretty sturdy nib so there isn’t a lot of variation in the line width but this thing writes like butter. 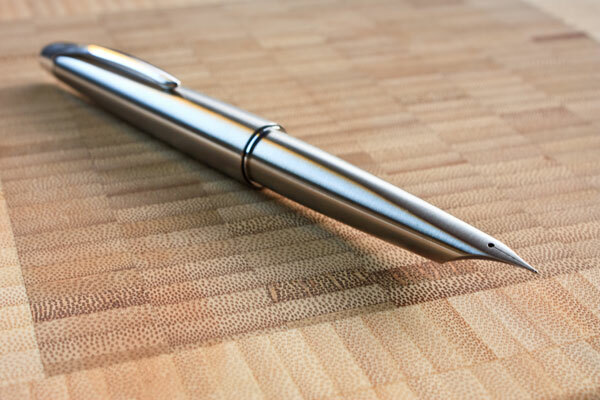 Ultra smooth and without a hint of the scratchy you can sometimes get with less expensive pens. Like I said, the price tag is a little high, but it was cheaper than picking up the original. And for satisfying a long held desire to own this amazing design alone it was well worth it. If I had to lodge a complaint it would be the fact that although it takes a converter, it doesn’t come with one. For as much as this pen costs, would it kill them to throw one in? I sort of feel like I’ve found my “one pen to rule them all”, but I’m sure that won’t stop me picking up others on occasion. I stumbled across your review. Just today I ordered my own Pilot M90 in the fine nib. I was also seduced by it's sleek, stark, almost surreal space age beauty. That and having used a vintage Pilot Elite pocket pen, I've experienced their nibs first hand and, as you note, they're extraordinary writers. Thanks for posting this and enjoy your new pen!